I deleted my secondaries and straight piped them. Really cool, cheap mod. Also had the pipes flanged so I can put back my secondaries if I want to in the future. Used high quality stainless steel with a trust worthy tuner who I've used a lot (multiple cars). Total job cost me 30,000 jpy (around 300$) possible to do it cheaper but why shop around and use some shop I don't know or trust to maybe save 100$, I'd rather get the job done properly and not deal with headaches later. Good luck! your car looks amazing! is that a satin grey wrap? Thanks! Yes and no, yes it's satin grey/ matte silver, and no not a wrap. It's one of the oringal paint colors the black series came with. I have a thread somewhere here with a few pics of her plus the mods I've done. Done a few more things that I'll be adding pics to that thread soon too. had the pipes flanged so I can put back my secondaries if I want to in the future. Used high quality stainless steel with a trust worthy tuner who I've used a lot (multiple cars). Total job cost me 30,000 jpy (around 300$) possible to do it cheaper but why shop around and use some shop I don't know or trust to maybe save 100$, I'd rather get the job done properly and not deal with headaches later. Good luck! Thats a great idea re flanging. No interest in shopping around really, I have a couple shops in mind, but if they hit me with an "AMG tax" I just want to be prepared for it, so I can call them on it and get some sort of normal pricing. I am away the next few days doing something fun I will probably post about, and then I will get it done next week. So I got this done today. Found a shop that a bunch of local import guys go to. Couple old guys who have been doing it forever and could not care less what kind of car I was driving. Hence, there was no AMG tax. Cost me $150 plus tax. Now I just need some time to drive and listen. $250 for stainless steel. Removed 2nd cats and resonator. 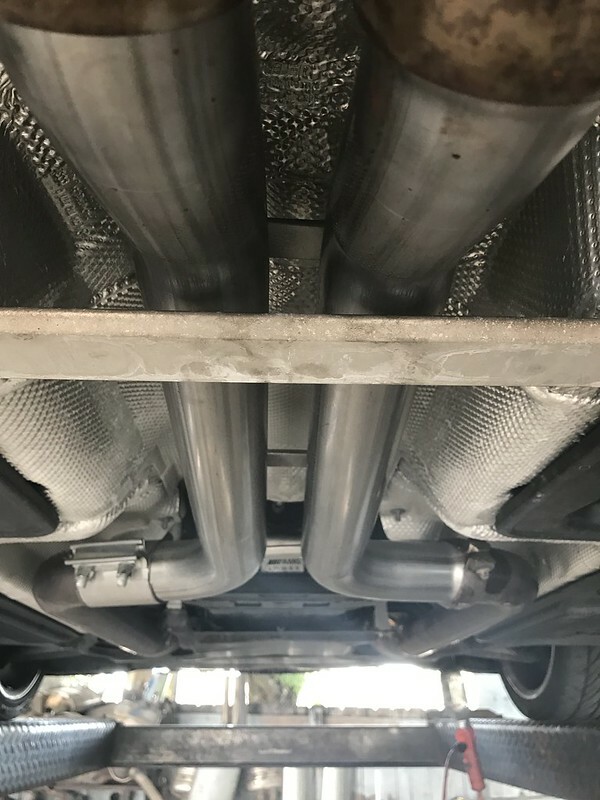 Straight pipes. Paid $400, has a flange so I can remove if necessary. Im not partial or anything but silver is literally the best color for this car. Again, not partial at all. I think you meant to type "Stainless Steel", not just "Steel." Considering a C63 but are the miles too high?